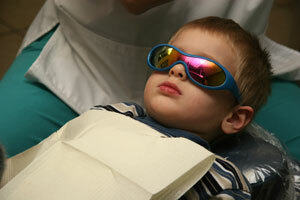 Dr. Erwin Su uses composite fillings for treating minor dental restorations. Composite fillings are both safe and esthetically pleasing for the smiles of our younger patients. Metal-free, these fillings are long lasting and less likely to crack or chip than the more traditional amalgam fillings. Composite fillings are also colored to closely match the patient's tooth color. Contact our Canton office and schedule an appointment for your child today!